Warhammer 40k Forum Tau Online » Warhammer 40K Armies » Forces of Chaos » GW Chaos Daemons Page Up! GW Chaos Daemons Page Up! Very bare, but it&#39;s up! Re: GW Chaos Daemons Page Up! Well Gnome posted this yesterday but since it was already posted in the other Daemon thread I removed it. I guess if it&#39;s going to keep popping up it might as well deserve it&#39;s own thread. It&#39;s annoying how the American site is so much better/quicker than the British one. With the background on the new Skulltaker, it looks like GW is looking at a different side of Khorne. It&#39;s pretty refreshing, actually. This blister contains enough metal components to assemble three (3) Screamers of Tzeentch models. All models are supplied unassembled and unpainted. Looks like people are going to get a surprise. There are actually a lot more mistakes, check out the soulgrinder page. Can&#39;t touch me! Can&#39;t touch me! 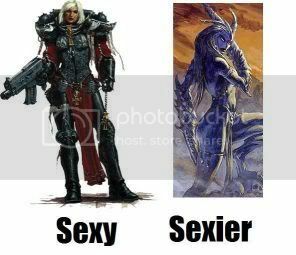 Those all look pretty cool, but to be honest I&#39;m not really digging the Slaanesh stuff. The daemonettes are okay (much better than I thought they&#39;d be ) but other stuff like the Fiend... not so much.